For three days this weekend, you can dive beneath the waves to explore shipwrecks in the Great Lakes, search for ghostly particles using a billion tons of ice and discover how we might grow food on Mars. 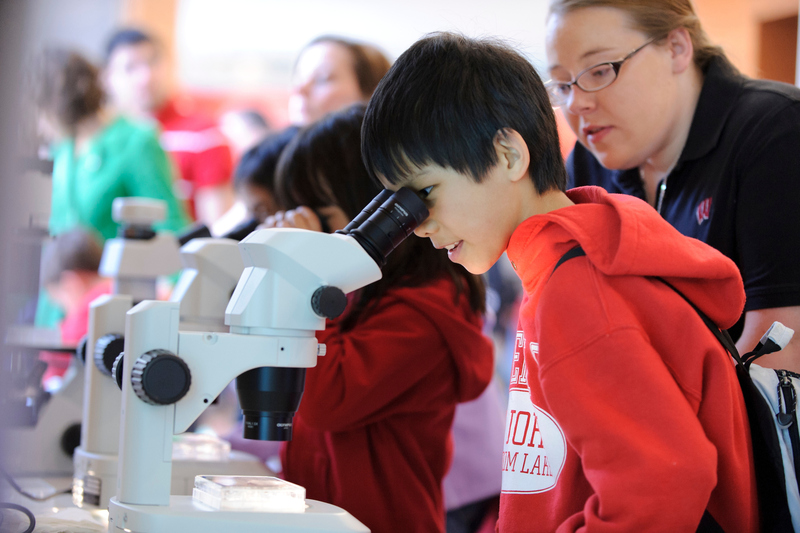 It’s all part of Science Expeditions, the University of Wisconsin–Madison’s annual open house that allows visitors the chance to delve into the world of science. From Friday, April 6, to Sunday, April 8, Science Expeditions features dozens of exploration stations, tours and shows, hands-on activities and more. For the first time in its 16 years, Science Expeditions will partner with Engineering Expo on Saturday, April 7, so families can explore the intersection of science and engineering in the same day. Engineering Expo events, open from 9 a.m. to 2 p.m. at the Engineering Centers Building, 1550 Engineering Drive, will include hands-on experiments, such as building your own bottle rocket. Engineering students will give presentations, including a material science demonstration in the metal forge and the Biomechanics Club’s Engineering the Human Machine exhibition. Representatives from top engineering companies like Oshkosh Corporation, Caterpillar, 3M and Alliant Energy will also have exhibits. “We’re excited to partner with Science Expeditions to give visitors the full range of science and innovation and ingenuity on the central part of campus on Saturday,” says Caroline Brumley, a junior in the biomedical engineering program and publicity chair of Engineering Expo. For the first time, Science Expeditions will partner with Engineering Expo, so families can explore the intersection of science and engineering in the same day. Science Expeditions will kick off on Friday, April 6, with a constellation of venues on the east side of campus. The Center for Limnology at 680 N. Park St. will be open Friday from 5 p.m. to 7 p.m. to share the science of Wisconsin’s lakes. Visitors can also combine the fine arts and material sciences with an origami workshop led by Wisconsin Public Radio host Ruthanne Bessman at the Wisconsin Alumni Association, 650 N. Lake St., starting at 5:30 p.m.
At 7 p.m., the Wisconsin Historical Society, 816 State St., will share how deep-sea robots can explore shipwrecks in the Great Lakes. And after the sun sets, stargazers can get a glimpse of the early-spring night sky above Madison at the Washburn Observatory, 1401 Observatory Drive, from 8 p.m. to 10 p.m.
On Saturday, the hub for Science Expeditions is the Discovery Building (Wisconsin Institutes for Discovery) at 330 N. Orchard St. More than 40 exploration stations will be open from 10 a.m. to 2 p.m. so visitors can discover how hearing works, ways to protect monarch butterflies, the science of chocolate and more. An hourly film presentation at the Sterling Hall planetarium, 475 N. Charter St., from 11 a.m. to 3 p.m., will explain how a billion tons of ice at the South Pole are used to detect and study neutrinos, some of the universe’s most mysterious particles. 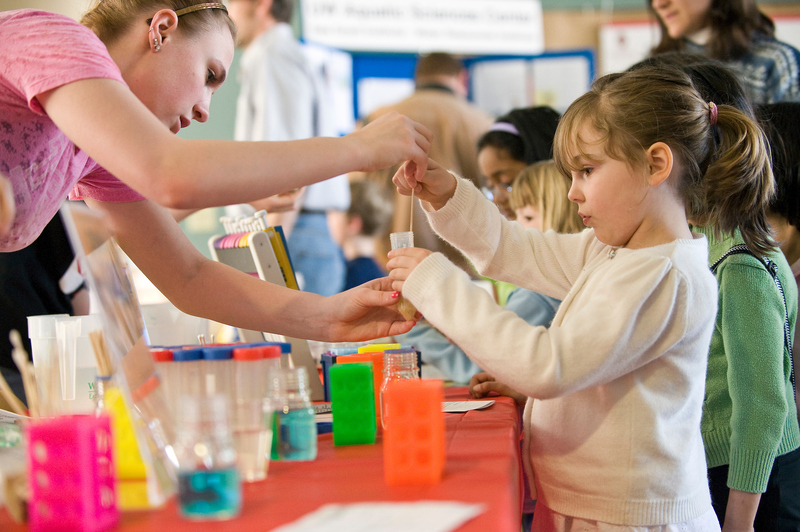 On Sunday, April 8, the center of activity for Science Expeditions will be at the west end of campus, where exploration stations will be open from noon to 3 p.m., with some stations open later, at the Health Sciences Learning Center of the School of Medicine and Public Health, 750 Highland Ave., the School of Nursing’s Signe Skott Cooper Hall, 701 Highland Ave., and the School of Pharmacy, Rennebohm Hall, 777 Highland Ave. Activities will investigate everything from stem cells to influenza testing and how exercise helps your brain. 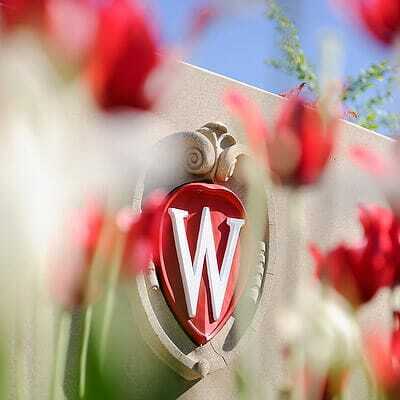 Science Expeditions will also highlight the work the University of Wisconsin School of Medicine and Public Health is doing around equity and inclusion. Exploration stations will feature a diverse array of faculty and scientists for the public to explore the breadth of health-related research at SMPH. “This is an opportunity for us to engage the community, to potentially get younger people aware of the opportunities available in these fields,” says Beverly Hutcherson, outreach and communications manager for diversity and inclusion at the school. Sunday programs will also let visitors stretch their legs, with exploration stations at Picnic Point from 2 p.m. to 3:30 p.m. and a survey of the effigy mounds at the UW Arboretum, 1207 Seminole Highway. Budding botanists can tour the Wisconsin State Herbarium and botany greenhouses at Birge Hall, 430 Lincoln Drive, and explore the D.C. Smith Greenhouse at 465 Babcock Drive from 10 a.m. to 2 p.m. on Saturday. Early birds can check out the Geology Museum in Weeks Hall, 1215 W. Dayton St., and the 100-year-old hands-on Ingersoll Physics Museum in Chamberlin Hall, 1150 University Ave., starting at 9 a.m. on Saturday. Tour the new Alumni Park, 724 Langdon St., which features stories of notable Badgers, starting at 11:30 a.m. on Saturday. Explore West African textiles in the Ruth Davis Design Gallery in the School of Human Ecology in Nancy Nicholas Hall, 1300 Linden Drive, from noon to 4 p.m. Saturday and Sunday. Even more events, a full schedule, parking information, and all the details can be found at the Science Expeditions website.